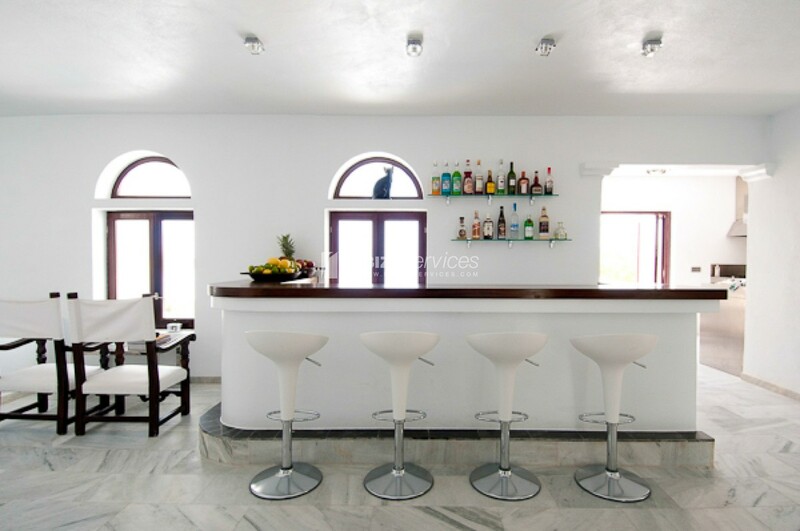 With its variety of Famous Beach Bars and Fabulous Restaurants. 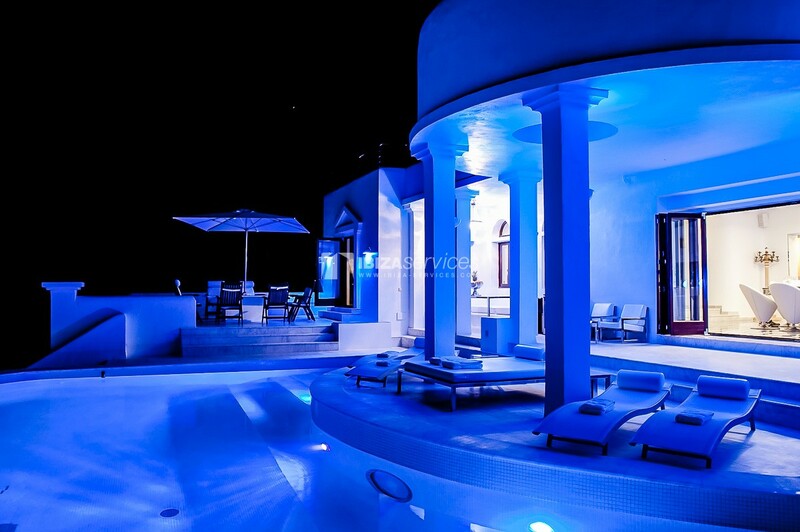 An Incredible Location. 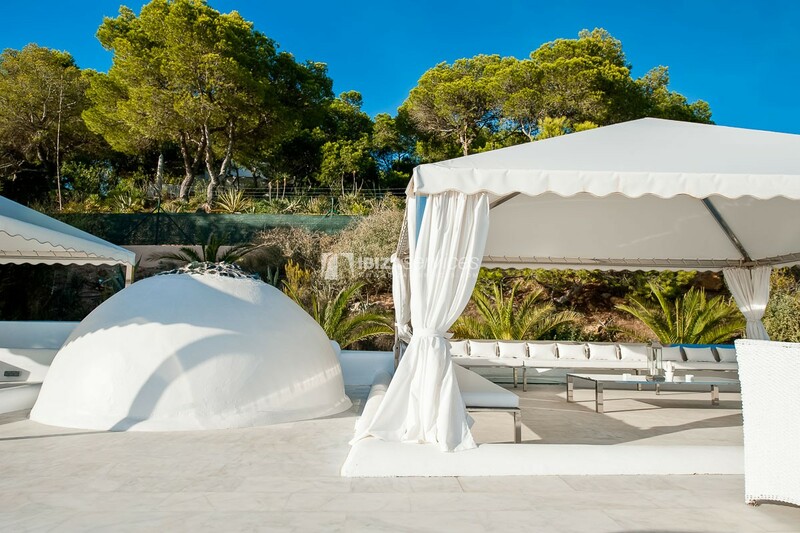 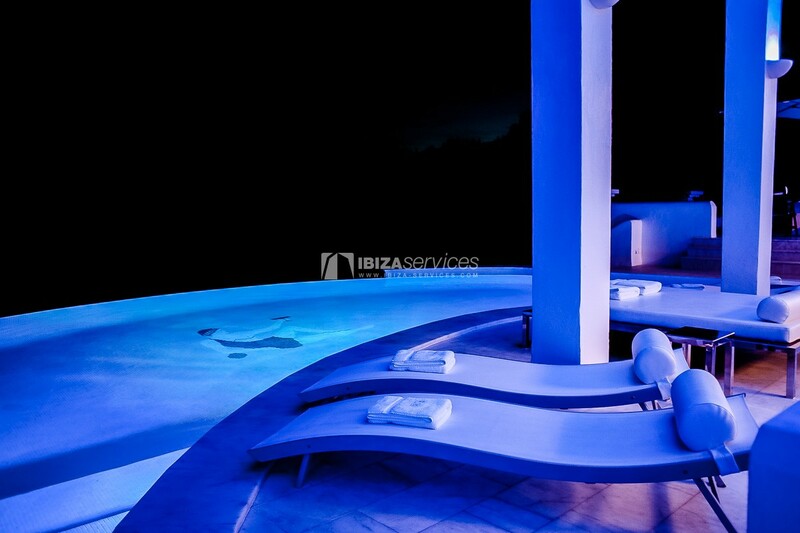 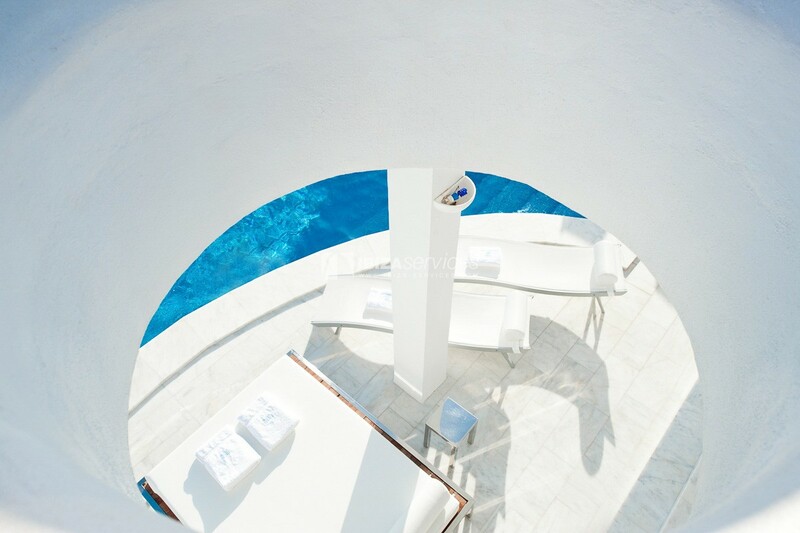 We offer the services of a Luxury Hotel, within the exclusivity of a private Villa. 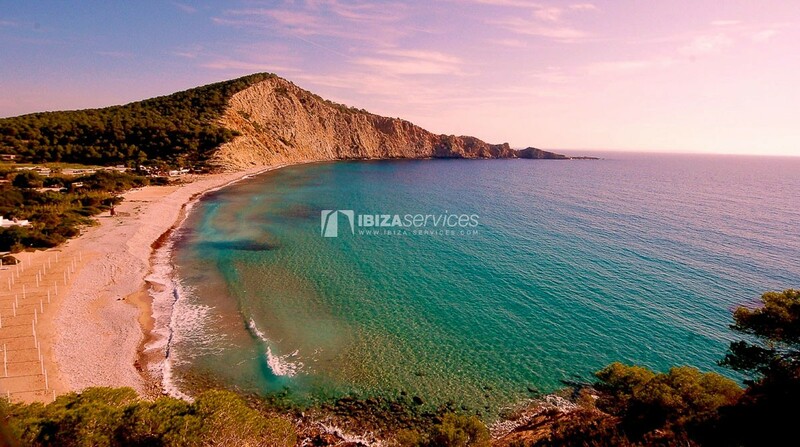 A full time personal Chauffeur is at your disposal for trips to the beach, restaurants, night clubs, shopping, and airport transfers. 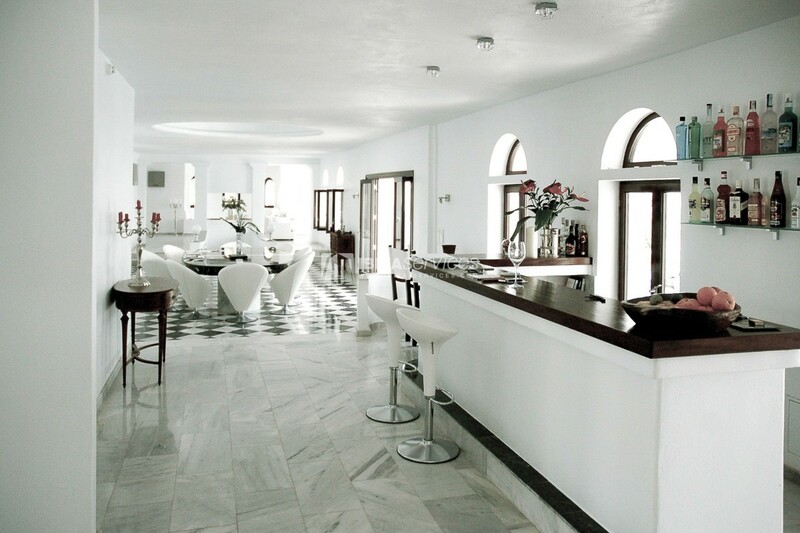 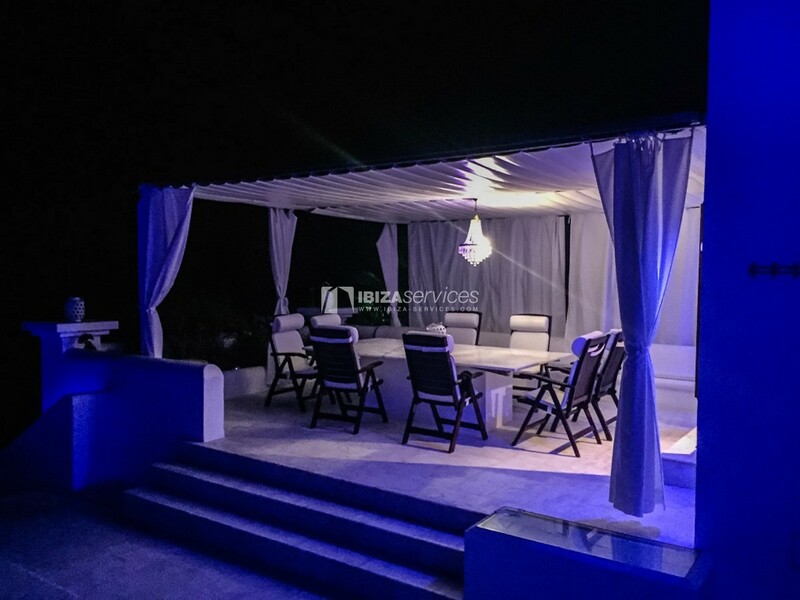 The Butlers can arrange all the meals, Special Dinners and small parties at the Villa. 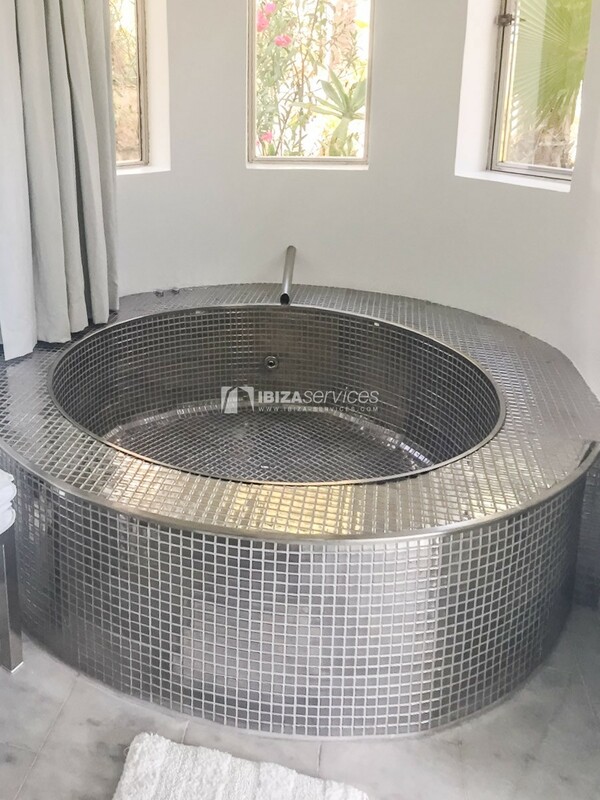 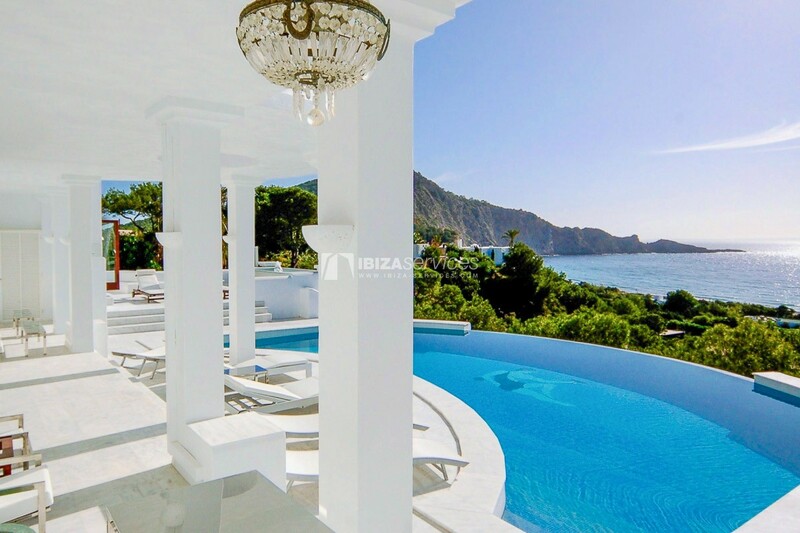 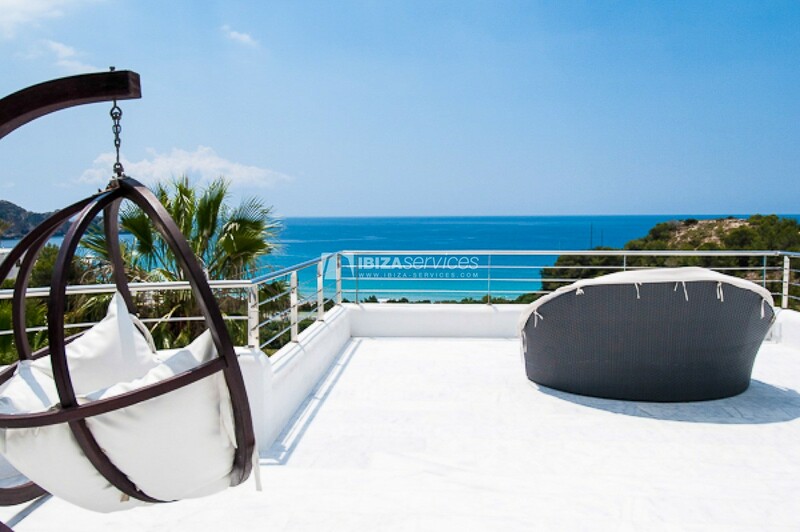 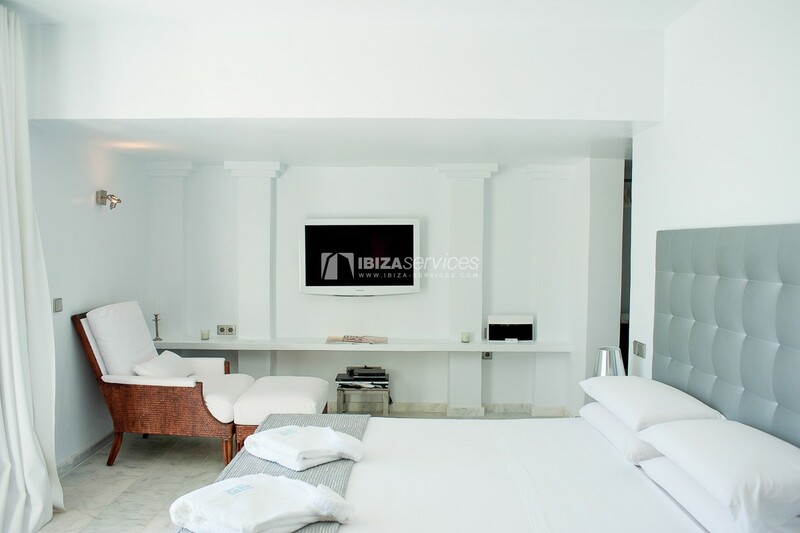 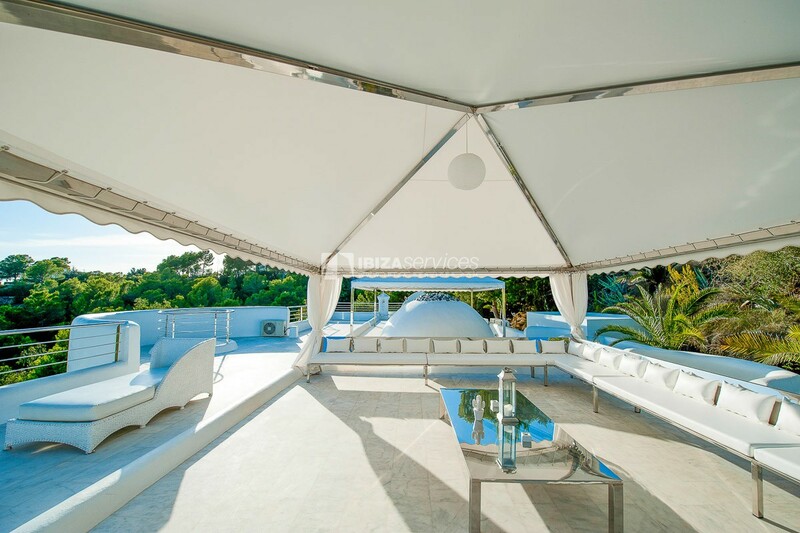 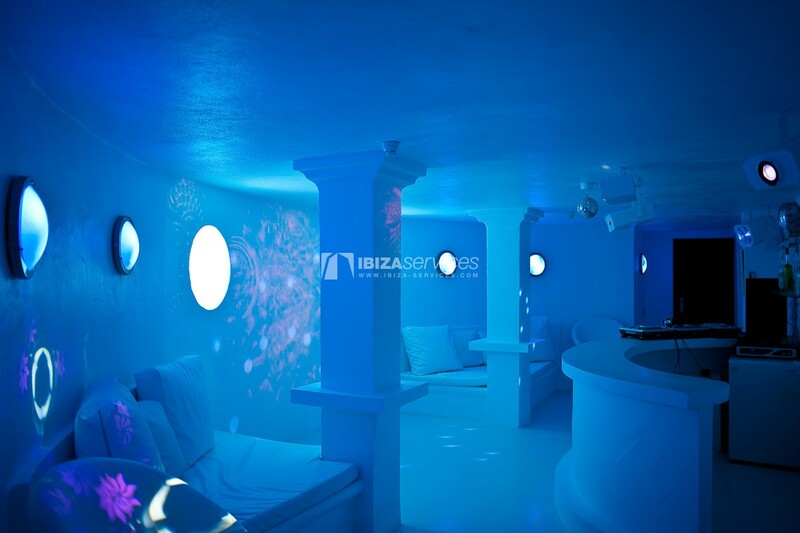 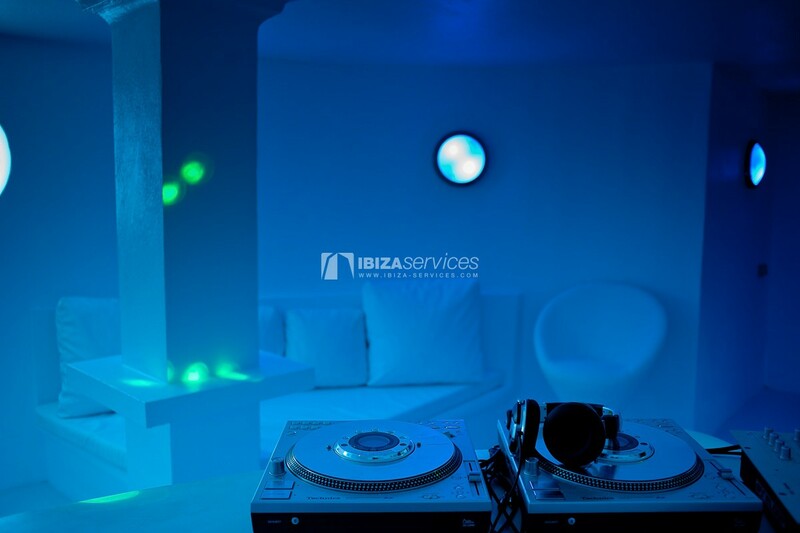 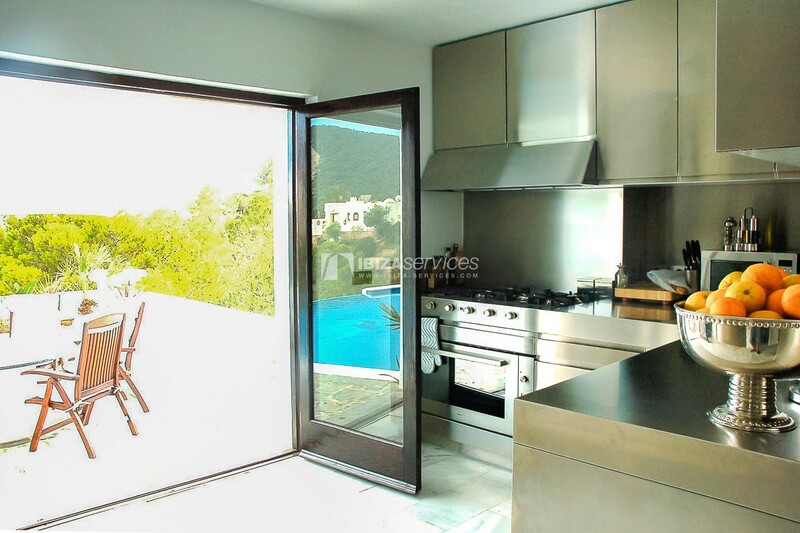 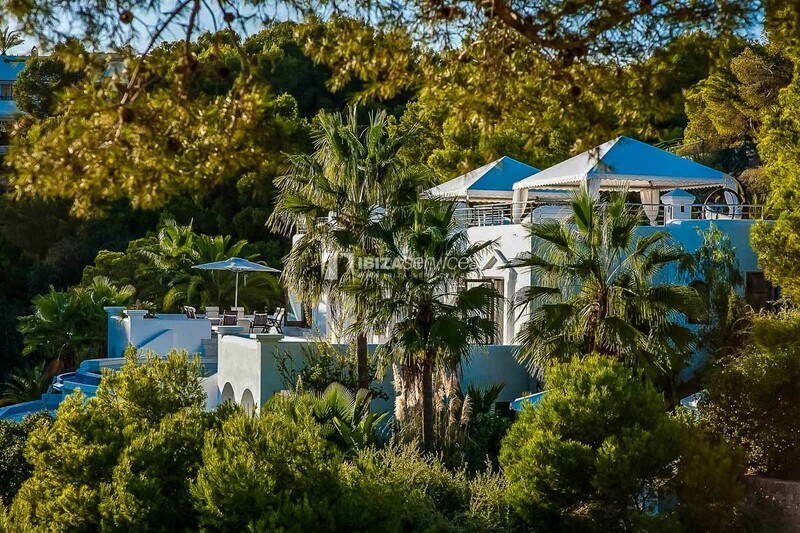 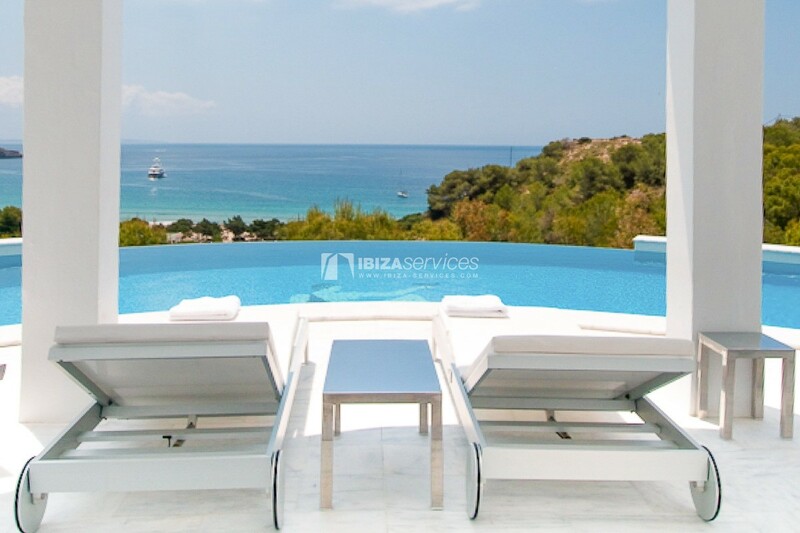 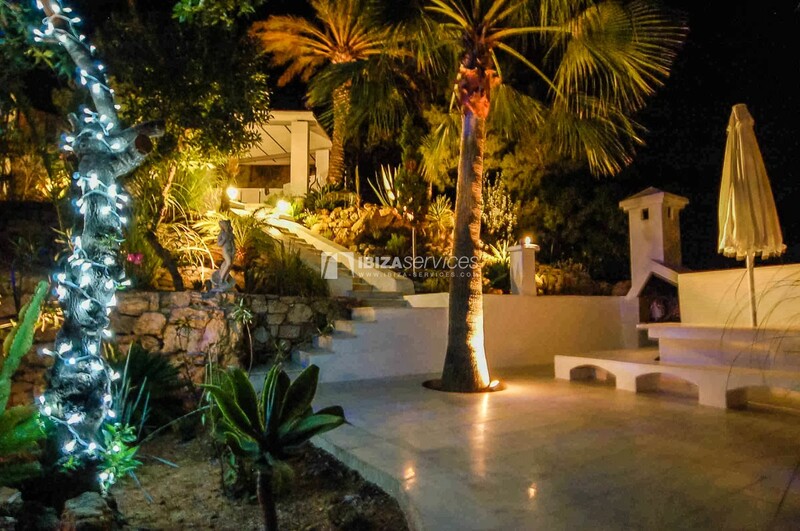 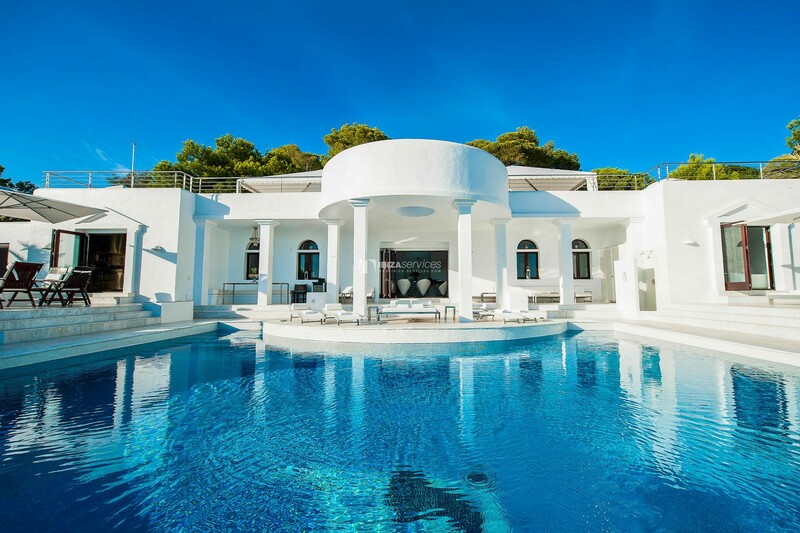 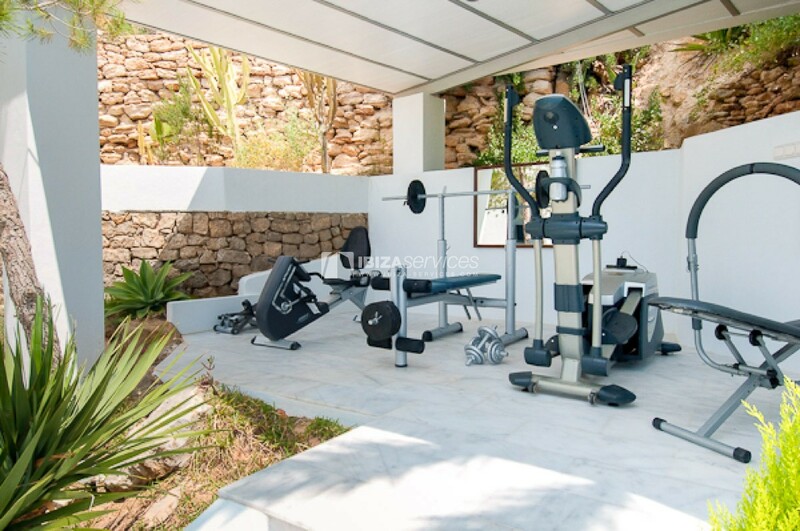 5 double bedrooms with bathrooms or shower room en-suite, (satellite flatscreen tv, dvd, AirCon, Mini Fridge, Robes, Safe, Herbas De Ibiza bathroom products). 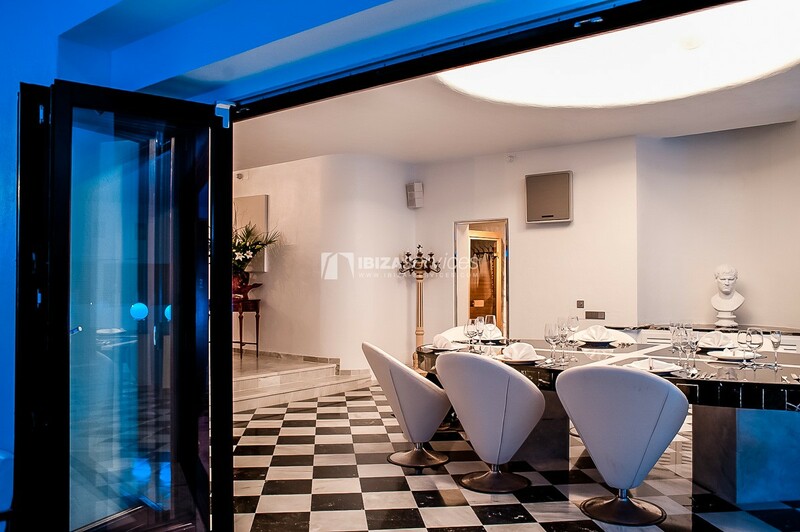 Various Dining Areas with fabulous views of the Bay.